Can vitamin D supplments improve infant growth in developing countries? How is government policy on advertising to children affecting kids' food preferences at home and in schools? What should doctors learn about nutrition in medical school? Find out more about these and other questions, and discover how you can improve child health in Canada and around the world. 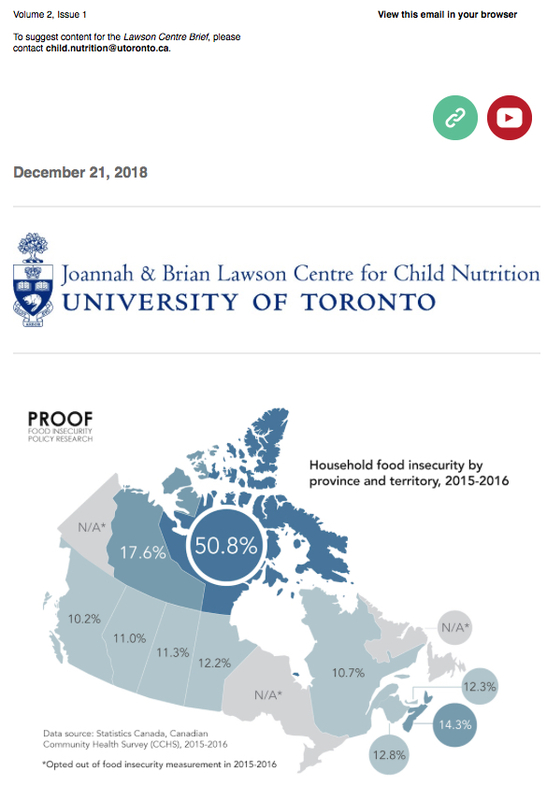 Sign up here to receive the next issue of the Lawson Centre Brief.